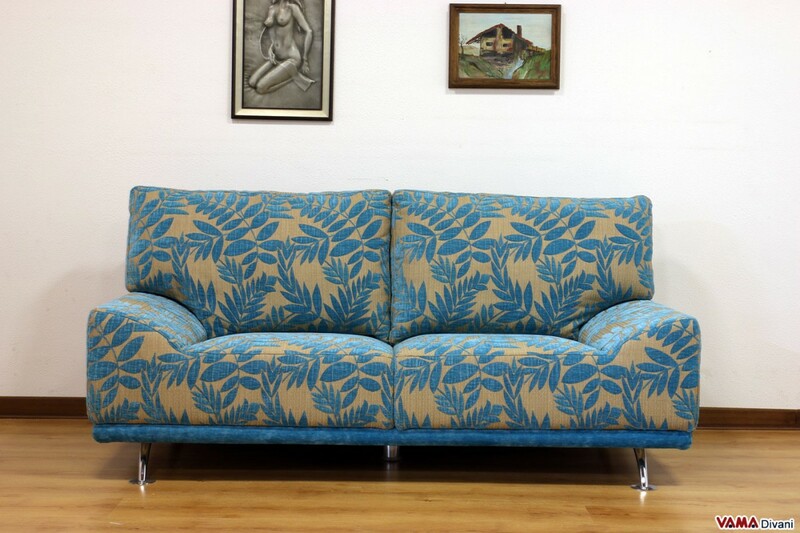 Very original fabric sofa with its arms directly integrated into the seat cushions, a convenient and comfortable model, characterised by a bold and striking style, but even very easy to match. The Ginger sofa presents a completely removable cover, therefore, it is easy to clean, and it can even be customised in any size; for the upholstery of the back cushions, you can choose from polyurethane foam to a mix of goose down and synthetic fibres. Feel free to contact us for more information and other prices. Ginger is a fabric sofa designed and realised with the best originality in mind, characterised by a bold, yet simple style, it is very easy to match and presents many interesting features. 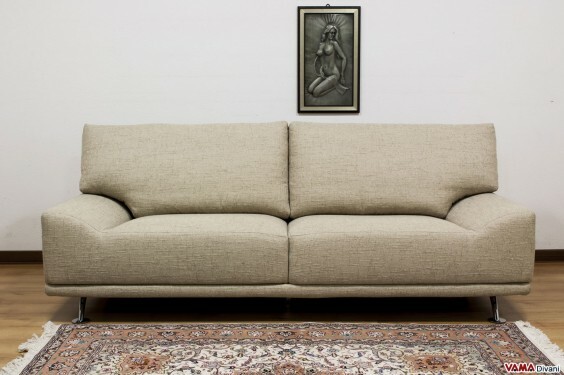 The main feature of the Ginger fabric sofa is certainly in its arms: these parts are are directly integrated to the sofa seat cushions, recreating a pleasant style and, above all, a unique and exclusive one. 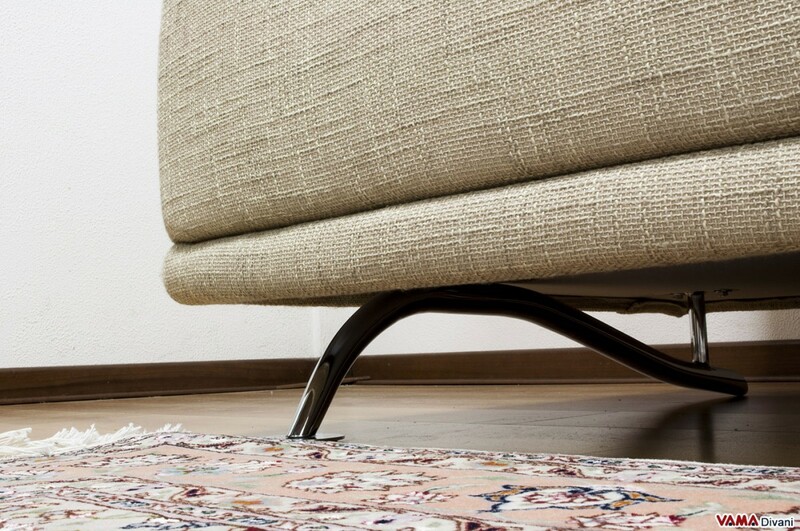 Its polished steel foot with its unusual shape is definitely a remarkable peculiarity, without forgetting the large and high back that makes this piece of furniture really excellent concerning comfort, and that can be padded with goose down and synthetic fibres, or with polyurethane foam. 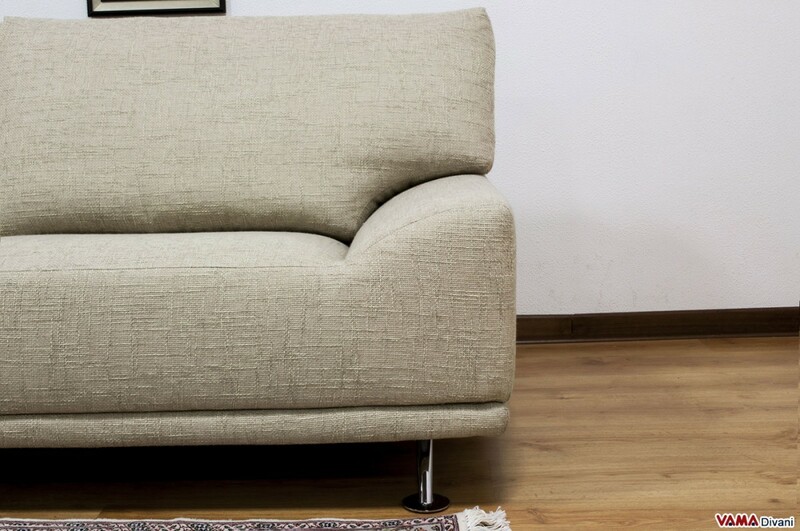 Contemporary sofa, very comfortable and pragmatic model, Ginger can enhance living rooms, offices, and many other different environments, and it can be absolutely customised in any size. 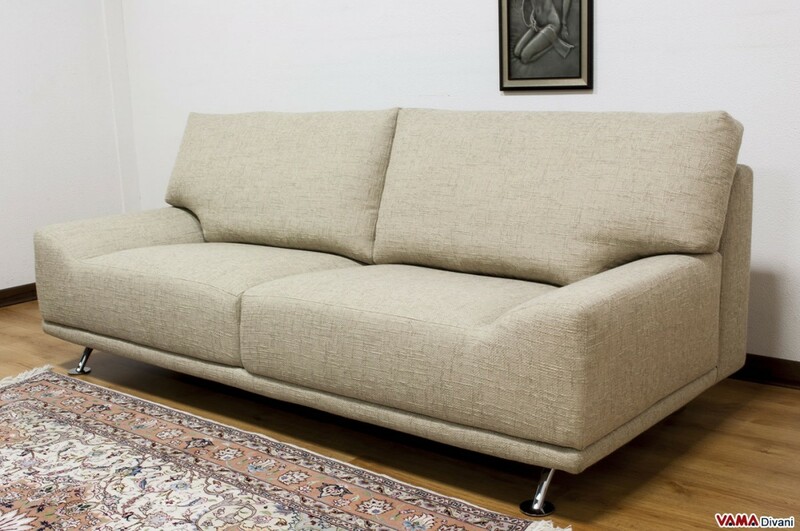 Being a removable cover sofa, it can be washed with great simplicity.